Native fauna from the Surf Coast region have been beautifully presented in the third and final series of the unique Surf Coast and Inland Plains Landcare Network (SCIPN) Wildlife Cards collection. 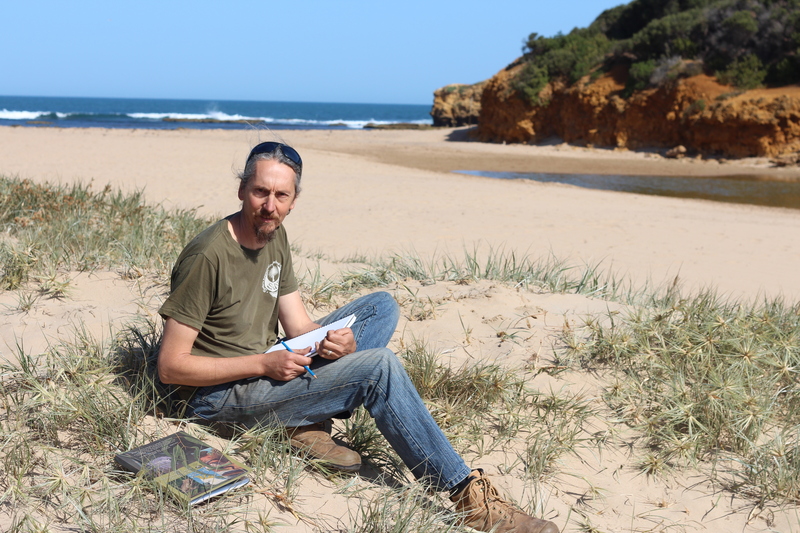 The three-part series features 135 indigenous fauna species that call the coast home, with a focus on wildlife native to the Thompsons Creek and Spring Creek areas. Beautifully hand painted by local artist Mark Trinham, each card features an animal in its natural habitat with further information about that species on the back. Mr. Trinham has worked with SCIPN to create the cards over 7 years, creating a distinctive series that has become very collectable. “It started off as an idea from the SCIPN group who all have fond memories of collecting wildlife cards as a kid and turned into this big project. 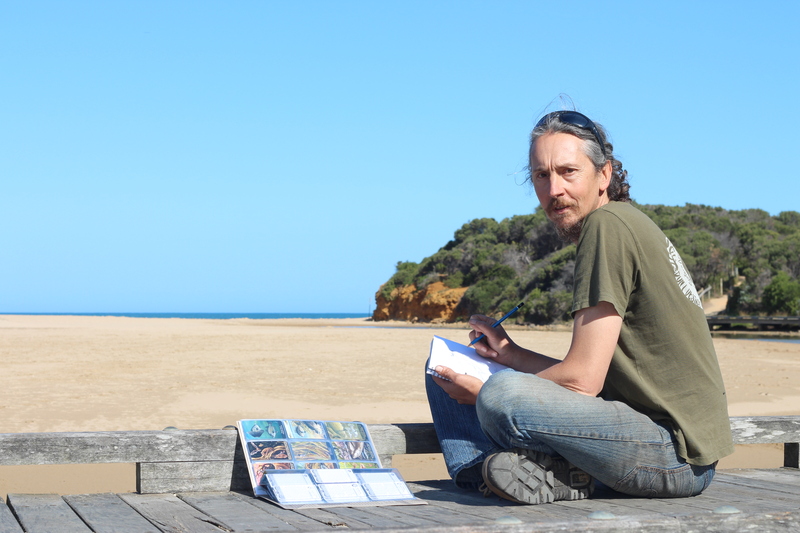 “There’s a long history of wildlife card collections in the Australian culture and it’s exciting to be able to create a set of cards specifically designed for our local fauna,” he said. Bird, mammal and reptile experts were consulted to help SCIPN create fun, interesting facts about the 135 different animals in the collection. 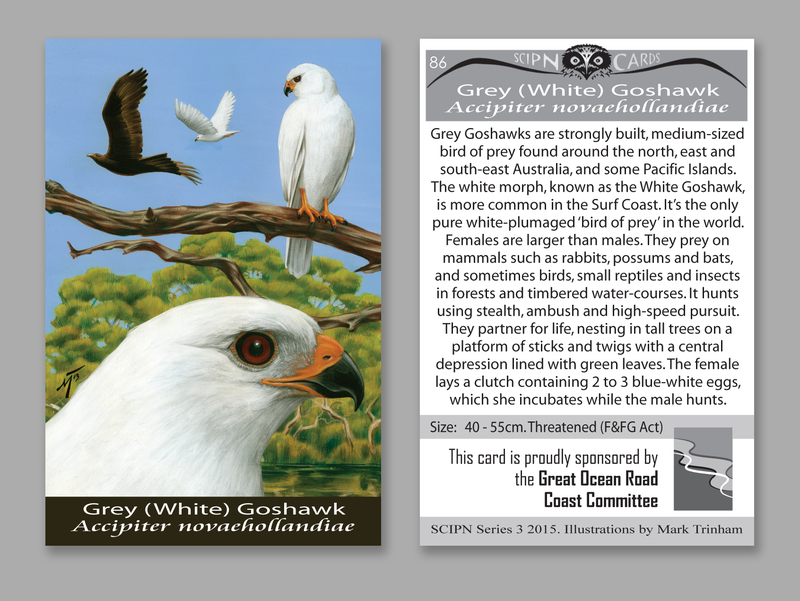 The Grey Goshawk is one of the many birds featured in the SCIPN Widlife Card Collection. “It is hoped that the cards will be able to be used as a field guide and educator for young children to encourage conservation and an appreciation for the environment,” Mr Trinham said. The SCIPN-led project has been sponsored by a large number of businesses and organisations including the City of Greater Geelong, GORCC, Barwon Coast Committee, ANGAIR, Jan Juc Coast Action, Torquay Coast Action, SANE, Zeally Bay Sourdough, Beacon Ecological, Bellroy, Oishi-M, Simon Mitchell Ecological Rehabilitation Services, Absolutions Ecology, Ecotonic Environmental Solutions, West Coast Indigenous Nursery, Borongarook Weed and Vermin Control, and Coastal Forest Lodge. What native local animal are you excited to see on the SCIPN Wildlife Cards? Comment your thoughts below!